I have had a crush on these boots since the beginning of the summer and my love affair has not wavered. 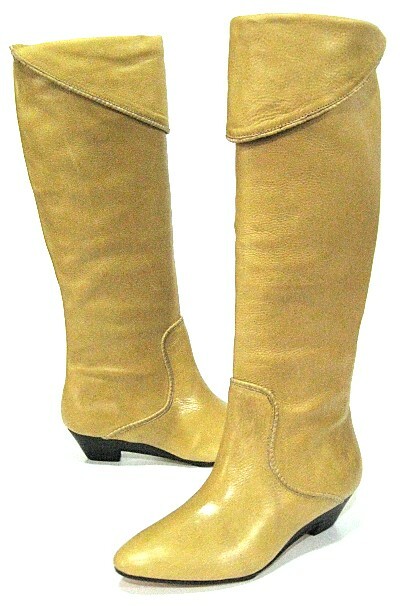 These beauties are the Sunny knee boot in Banana by Frye. I love everything about them, from the unexpected color to the cuff at the knee, to the almond shaped toes, to the tiny wedges on the heel. The color helps these boots transition through the seasons. The “Sunny” color is perfect for summer, with flowy dresses and skirts. In the winter, they can brighten up your look over jeans or tights. These sold out quickly, so good places to check are Amazon and eBay.